Word-perfect professional translation services by native linguists. Affordably-priced global translation services, delivered on time, and quality guaranteed. That’s why the world’s leading companies choose Espresso Translations as their London translation agency. As an ISO certified translation business, you can rest assured our solutions are of the highest quality. Do you have a text that needs translating into a foreign language? With over 2000 professional linguists covering more than 150 languages, our expert translation services company cater to all of your multi-lingual needs. Are you looking to connect with your target audience on more than just a linguistic level? Our localisation service involves culturally-adapting your website, global brand or software to suit the local market you are targeting. 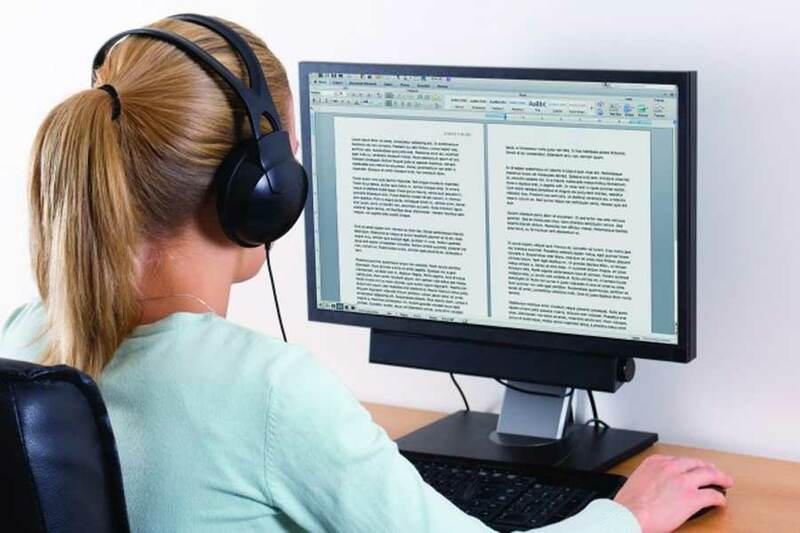 Maybe you have an audio or video file that you need transcribed into a written format. Our solutions cover same-language and multi-language transcriptions with single or multiple-speakers, and subtitles in a time-coded format. Perhaps your text has already been translated, but you want it double-checked for errors or readability. Our translation proofreading services are completed by native speakers who ensure your translated text is absolutely word-perfect. We will send you a competitive quote within the hour. A qualified, native linguist will carry out your project. Each file is spell-checked and formatted. Complete our online form and upload your material. We wait for you to give us the go-ahead before getting to work. A second qualified linguist proofreads the completed file. Your file is delivered on time. Free revisions for 14 days. It has been a joy to work with Espresso Translations who provided us with very friendly, helpful and responsive translating services. Extremely professional translation services and high-quality language skills. Deadlines are consistently met. 100% reliable. The quick response and service offered by Espresso Translations enabled us to meet a tight deadline. Excellent, thanks! For official use, complete with a signed attestation that the translation is true & accurate. We work with a diverse range of files and formats thanks to our team of tech experts. A broad range of online translation services ranging from contracts to patents. Our translations help you expand your business into international markets. Espresso Translations is a fast-growing, leading ISO-certified professional translation agency London providing a vast array of professional language solutions to businesses and individuals worldwide. We offer translation services in over 150 languages thanks to our network of more than 2000 highly-skilled linguists. Our solutions include standard, urgent, and certified translations, proofreading, transcription, localisation, voiceover solutions, transcreation, subtitling and desktop publishing. There are many agencies out there offering translation services, so what’s different about us? Well, the key to our highly-recommended language translation company’s success is that our linguists only translate into their native language, ensuring impeccably accurate files that are localised to the target audience. Around half of our linguists are specialised in a particular field, such as financial translation services, meaning that we can find the best linguist, familiar with industry-specific vocabulary, to suit your requirements. We pride ourselves on the high quality of our work and our exceptional customer care. We go above and beyond for each of our clients, whether a student looking for CV translation services or a multinational organisation seeking marketing translation services. Each client is allocated a Project Manager who will be their main point of contact from beginning to end, so they know who to speak to if they have any questions about our language translation services online. We are ready and willing to be as flexible as possible, so if that means arranging a phone call, a video conference, or a face to face meeting with our clients to discuss translation services, we are more than happy to do so. We like to think of ourselves as a rather tech-savvy partner. Our clients can choose whether they prefer a human translation or using the latest translation technology CAT tools such as Trados, MemoQ, Linguee, etc. When it comes to transcriptions, we are familiar with many time-coding tools such as Aegisub, Subtitle Edit, Subtitle Workshop and more. We also have dedicated tech experts for those jobs that may involve multilingual typesetting, for example, modifying text within images using Photoshop, or saving files in unusual formats. This is particularly useful in German translation whereby the word count increases by approximately 20% when translated. We are trusted by some of the biggest companies in the world, however, no task is too big or too small for us. Our global translation agency UK is a stickler for deadlines; our motto is: on time, every time. And we do absolutely everything in our power to keep to our word. Unlike other companies, we endeavour to help you reduce costs and so our language translations come at very affordable prices. Don’t believe us? Request a free quote by clicking on the ‘contact us’ button at the top of this page, complete the form and one of our PMs will be in touch with an extremely competitive quote within the hour. HOW WAS ESPRESSO TRANSLATIONS FOUNDED? Espresso Translations was founded in the United Kingdom back in 2011 by Danilo and Niki, two linguists who worked together to provide services. In its early days, Espresso focussed solely on Italian translation, however, due to increasing numbers of requests for accredited language services into multiple languages, Danilo and Niki began building a network of experts covering a broad range of European languages. Over time, both the team and demand grew, so in 2012 they decided to form a language agency specialising in providing translation services in London. The business continues to grow rapidly, and today the agency in London has a 2000-strong translator network covering more than 150 language pairs. Although their primary focus is now the management of the company, still today Danilo and Niki work in tandem to complete translations and interpreting services. “When we first started out, it didn’t even cross my mind that we would grow to become an international language agency. I think the fact that we have worked, and continue to work, as translators ourselves gives us a competitive edge compared to other companies. We understand not only our clients but also the linguists that we work with. We can look at a document and from our own experience, instantly understand more or less how much time and level of experience is required. We endeavour to deliver 100% accurate texts in a timely manner, every time. Client satisfaction is at the heart of our agency; if they’re satisfied then we are too! We pride ourselves on the fact that we can cater to anyone’s needs. Our professional translators are highly-qualified with at least 5 years’ experience and are chosen from amongst the best available. All of our language experts go through a rigorous selection process to ensure that we secure only the top linguists. Our experts will only ever translate into their native language, to ensure 100% accuracy, readability, and flow. This means that your French translation services will be completed by a native-speaking expert. We believe human translators to be far superior to machine translation. We divide our linguists into ‘generalists’ and ‘specialists’ depending on their skills-sets. Projects are then allocated based on the industry or sector and knowledge required. For example, a medical document will be handled by a medical translator. Generalists translate generic texts that don’t require any knowledge of industry-specific vocabulary. Specialists specialise in one particular area and are fluent in industry-specific vocabulary. Examples of some areas where these linguists would be used are legal, digital content, food & beverage, medical, and technical translation services. Our linguists are professionals, experts in their native languages. They understand that translating isn’t merely changing words from one language to another, but taking into consideration local cultures, social, political, economic and religious factors along with different dialects and local slang to produce the best global content. A Spanish translation, for example, will always be completed by a native speaker. Our devoted and friendly team work collaboratively with you to meet your demands and requirements. Our linguists uphold our high ISO 17100:2015 quality standards and sustain our policies throughout the entire process. As part of our translation services quality assurance protocol, every linguist will proofread and spell check their work before delivery. A second proofreader will then review the document to ensure that it has been done to the highest standard. This accuracy guarantee is essential for certain types of sophisticated translation online such as if you’re looking to translate a website, technical documents or software localisation. We as a language interpretation agency take pride in the high quality of our work and thrive on positive feedback from our clients. If you have any queries or require any clarification, we allow unlimited revisions within 14 days of the date of delivery, just contact your PM, and they will be happy to assist you. You can ask your PM for unlimited revisions within 14 days of the delivery date. Meanwhile, behind the scenes, our translation agency in London continues to recruit new experts so that we can expand our offering of translation services even further, broadening language pairs and specialities on a daily basis. Espresso Translations is ISO 17100:2015 certified for translation service quality standards. ISO 17100:2015 certification means that you have a guarantee that our translation services follow a recognised standard while meeting your translation requirements. It means that the translation phase and the proofreading/editing phase of your translation project will be handled by two different translators. It also means that when you choose Espresso Translations, you’re going to be working with people who are appropriately qualified to handle your project. You will receive a final product with the lowest margin of error possible and your confidentiality will always be assured. Customer satisfaction is at the very centre of everything we do. 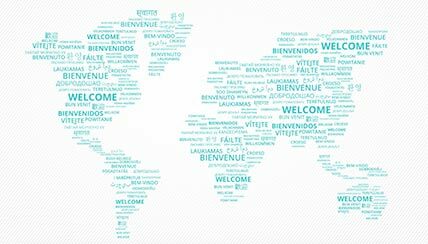 Our promise to all of our clients is that we will deliver accurate, reliable and affordable translator services, on time, every time, with an added personal touch. Our rates are affordable, and there will never be any extra hidden costs. Each client will be assigned a dedicated PM who will identify the translator UK that is best suited to the task’s requirements. We have made our process as simple as possible, however, whenever you have any queries about our translation services, they will be happy to answer your questions straight away. We understand that data security is paramount, particularly when it comes to translating sensitive documents. We follow strict data security policies in our translation services to safeguard customer data in line with the GDPR. Rest assured that each member of our trusted team agrees to abide by confidentiality terms at the beginning of every language translation project. We will sign NDAs with any of our clients, should they so wish. If you are a highly-skilled, native, freelance linguist and you are interested in working with our translation office, please complete our online detail form or email your CV to translators@espressotranslations.com and one of the translation services team will be in touch. Please note that you will be expected to complete a series of tests to enable us to verify your linguistic ability. You will also be expected to consent to supplier terms and conditions including a confidential information agreement. Certified translation services in London by an authorised partner whenever you need us! Whether early-morning or late night – our team is here to help. International translation company London: A top professional translation service provider in the UK and on a global scale, our solutions list includes urgent, sworn, document and creative translations. One of the top translation agencies: As a highly-reviewed language service provider LSP, we guarantee 100% accuracy and this is reflected in our client feedback. Whatever your location, contact us now. Quality translation requires a company to control and manage their translators, if the project is be delivered per the client’s specifications. Though the qualifications and experience of the translators contribute to an excellent job, the evaluation of the management system makes a difference.